I take my skincare very seriously these days, I don’t use anything that isn’t going to give my skin an added boost. No more make-up wipes, those are banished forever. I was very kindly sent this balance Me. cleanse and smooth face balm to try out. 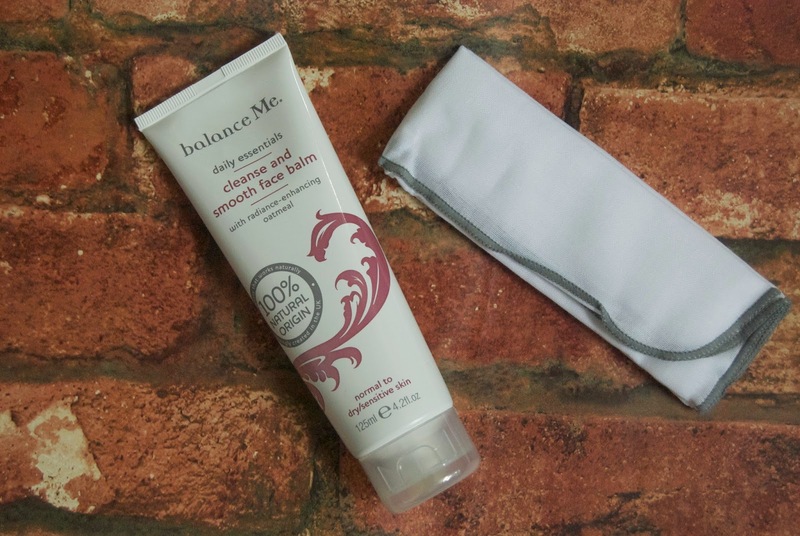 I’ve only ever tried moisturisers from balance Me. before and was impressed with the quality, so I was expecting good things from this product. I’ve tried other hot cloth cleansers before from other brands and I’ve always loved the consistency. There is something about using the cloth that makes your face feel extra clean. After using this for a couple of days I really noticed a change in my skin, there seemed to be a natural glow and radiance to the skin. The combined ingredients of chamomile, antioxidant arctic cloudberry and oatmeal all help to enhance your skin. The oatmeal works hard to lift up all the dirt from the day. It does a great job at removing make-up too, even stubborn mascara. This has also won anti-ageing awards, now I’m in my mid-twenties I have been thinking more about anti-ageing products, so this is another one to add to the collection!